The 2015 IndyCar season is set to commence on March 29th with an array of driver, schedule, and rules changes, but that’s not unusual, as driver swaps and new regulations occur with each championship. However, 2015 marks the beginning of a new era for the IndyCar Series, in which manufacturers provide their customer teams with complete aerodynamic packages in addition to engines. In short, IndyCar allowed both Chevrolet and Honda to create their very own aero kits to replace the Dallara’s standard DW12 package used in 2014. Chevrolet is the first of the two to unveil its shell and introduce us to IndyCar’s new aerodynamics. The new bodywork is significantly different than Dallara’s, and, in some aspects, it resembles the current Formula One designs. Chevy’s new aero kit will be used by six out of 12 teams throughout the 2015, including CFH Racing, Chip Ganassi Racing, Jonathan Byrd’s Racing, KV Racing Technology, Lazier Parners Racing and Team Penske. In all, 15 cars will race their way to victory using Chevrolet bodies and engines this season. And given Chevy starts the season as the defending champion, the drivers are expecting to receive the best packages. 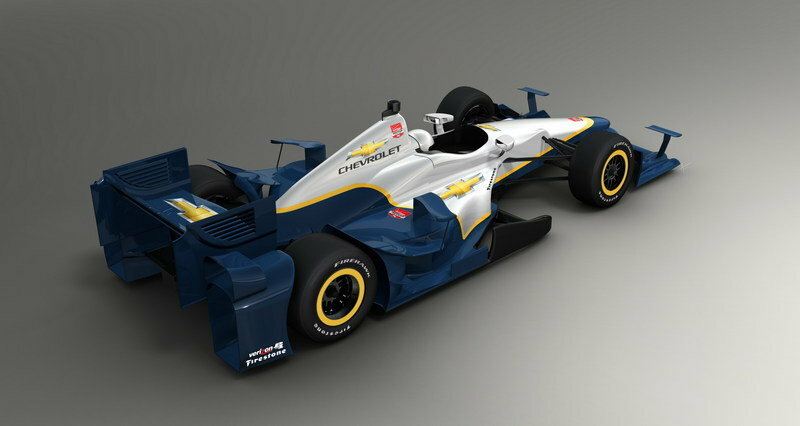 Continue reading to learn more about the 2015 Chevrolet IndyCar Aero Package. Developed based on thorough analysis of Dallara’s previous body and following extensive testing using computational fluid dynamics and a rolling-road wind tunnel, the Chevy aero kit sets itself apart from the previous DW12 design by means of new front wing elements, side pods, and rear wing. At the front, there’s a more protruding nose similar to those seen on this year’s F1 cars, and a completely reshaped wing featuring a sleek, three-tier winglet design. Two additional wings are mounted on both sides to help channel air up over the front suspension and wheels. Things get even more radical around back, where there’s more body paneling that ever for an IndyCar. The rear wheels are basically trapped between larger-than-ever body panels, which, together with the resculpted and at the same time narrower rear wing, create a massive diffuser-like piece you’d usually encounter in prototype endurance racers. The redesigned, multi-element rear wing sports louvered end plates for improved downforce. The engine cover and side pods are more compact on the new car, a trend that also seems to follow 2015-spec Formula One cars. 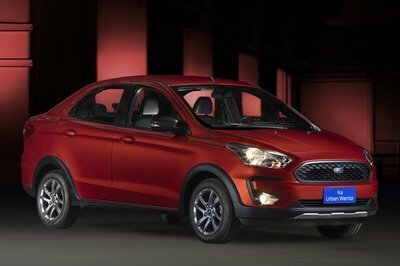 This has been achieved through a revised turbocharger unit and exhaust system layout. The car shown here is actually one of two configurations Chevrolet readied for the 2015 season. This layout will be used on road course/short oval tracks, with a speedway configuration to be introduced ahead of its racing debut at Indianapolis in May. In all, the new aero kit delivers greater aerodynamic performance than the previous design, enabling drivers to enter and exit corners faster, while maintaining higher speeds on the straights. Chevrolet didn’t release photos of the car’s cockpit, but there would be nothing much to see except a multifunction steering wheel, a lightweight racing seat with multi-point harness, and a no-nonsense, exposed floor. As always, the cockpit was built per IndyCar regulations, which focus on driver safety above everything else. Not exactly surprising given the speeds these cars can reach and the fact that there have been two fatal crashes in the last decade. Drivetrain details are scarce for 2015, but the engine is likely a revised version of last year’s unit. 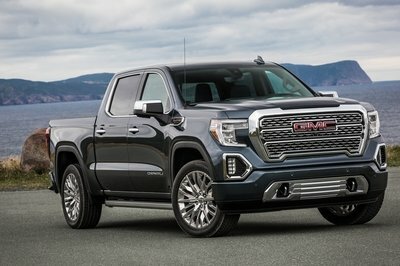 That said, each Chevrolet will use the twin-turbocharged, 2.2-liter V-6 designed and built by Britain’s Ilmor Engineering for GM, that runs on E85 (85% ethanol, 15% racing gasoline). In the 2014 configuration, the powerplant generated up to 675 horsepower — depending on track configuration — at 12,000 rpm, using Borg Warner turbos and a carbon-fiber intake system. The engine control unit is provided by McLaren and TAG. 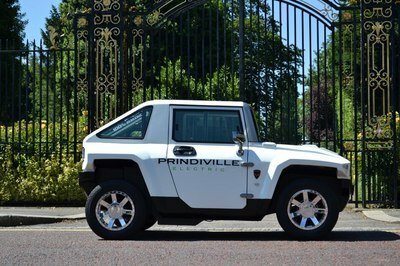 A sequential transmission with paddles mounted behind the steering wheel channels all that power to the pavement. 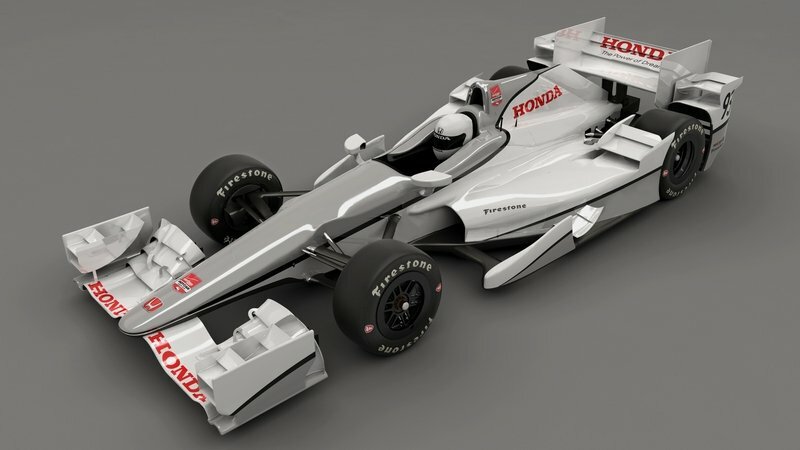 Honda, Chevrolet’s only competitor in the IndyCar series for 2015, revealed an aero kit of its own. Although based on the same DW12 package and developed along similar lines, Honda’s take features different front and rear wings, and a more complex system of canards and winglets. Motivation is provided by Honda’s latest 2.2-liter V-6 engine generating between 575 and 675 horsepower, depending on track configuration. For 2015, Honda will supply aerodynamic kits and engines to six teams: A.J. Foyt Enterprises, Andretti Autosport, Bryan Herta Autosport, Dale Coyne Racing, Rahal Letterman Lanigan Racing, and Schidt Peterson Motorsports. That’s 13 cars that will try to overthrow Chevrolet as the defending manufacturers’ champion. We won’t find out how effective Chevy’s new design is until the 2015 season is well underway, but the big news here is that IndyCar finally allowed automakers to provide their teams with complete aerodynamic packages. 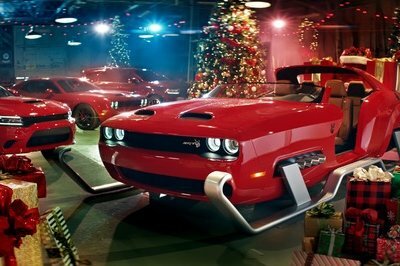 The decision could lure more manufacturers into the series, which would only benefit the sport. The last time there were more than two automakers battling for the Indy trophy was in 2005, and the series would much more interesting should the likes of Toyota or Ford make a comeback. 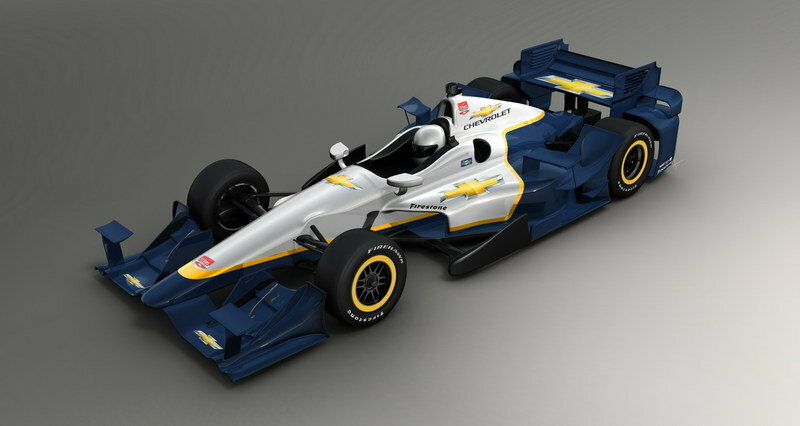 Chevrolet-powered racecars in the 2015 Verizon IndyCar Series will feature Chevrolet-developed aero packages.